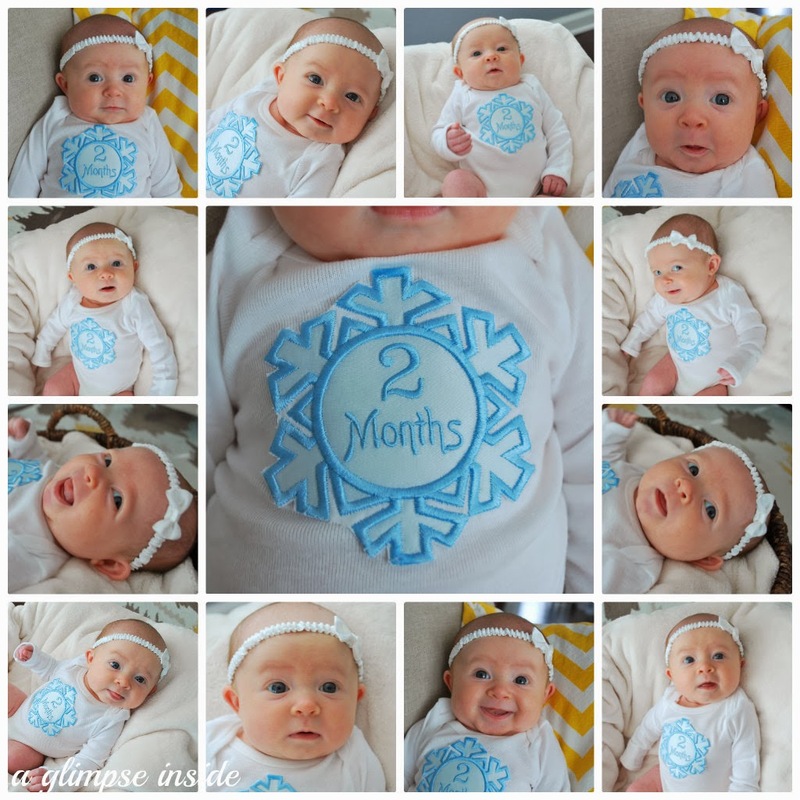 On New Year's Day, Miss S turned 2 months old. I don't know how this is possible because it doesn't feel like she has been a part of our family for that long but time is flying and it is true. Here is her 2 month recap. 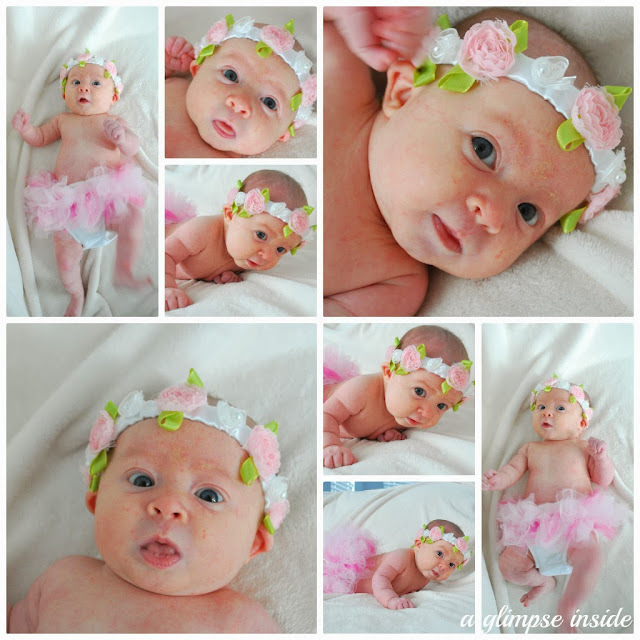 We started with a 2 month photo shoot as always. Love that she is all smiley these days. She sure is a cutie if I do say so myself. More shots from her photoshoot. I had to share more since we got so many good ones this go around. 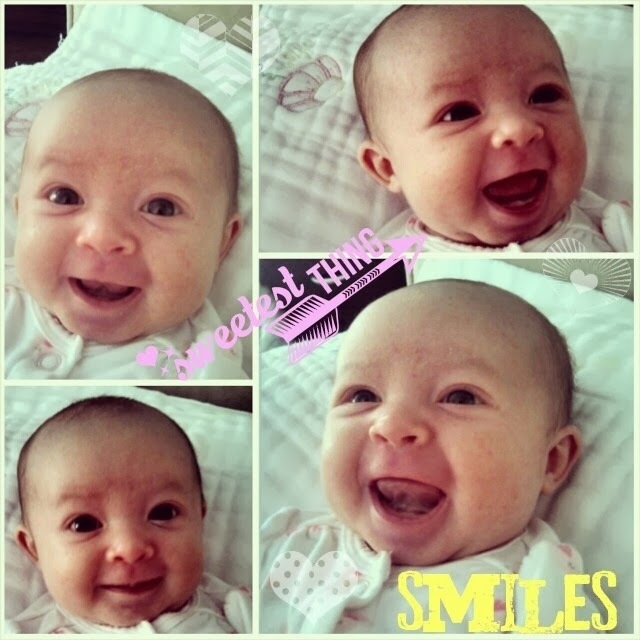 A day or two after her 1 month birthday, she started smiling. 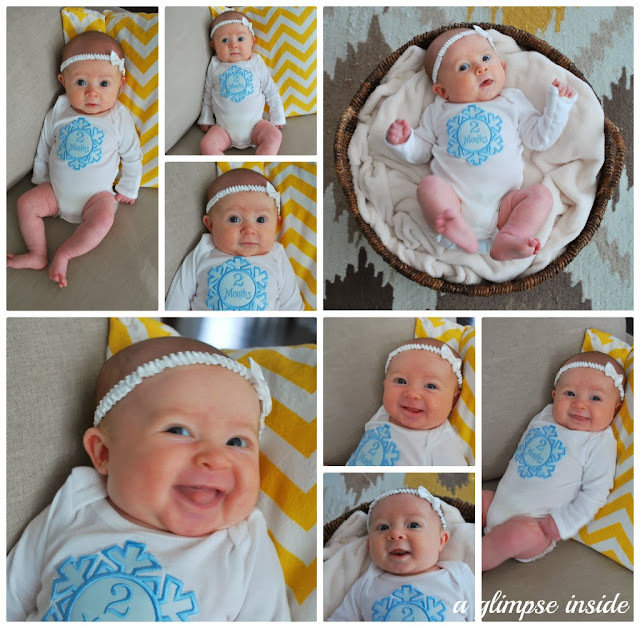 Those first baby smiles are the best and just melt my heart. It took me a while to get a good picture of her smiling so luckily on this day, she was more than willing to share them with me! 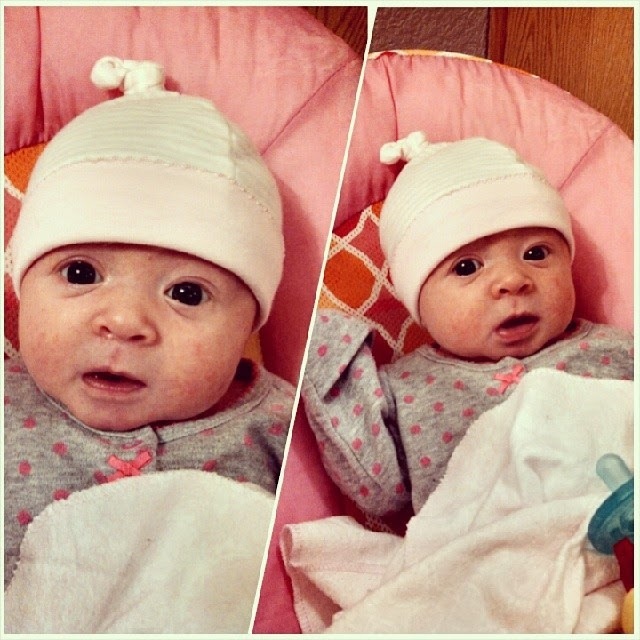 She just chilled out in her bath chair while mommy gave big sister a bath and she looked cute while doing it. 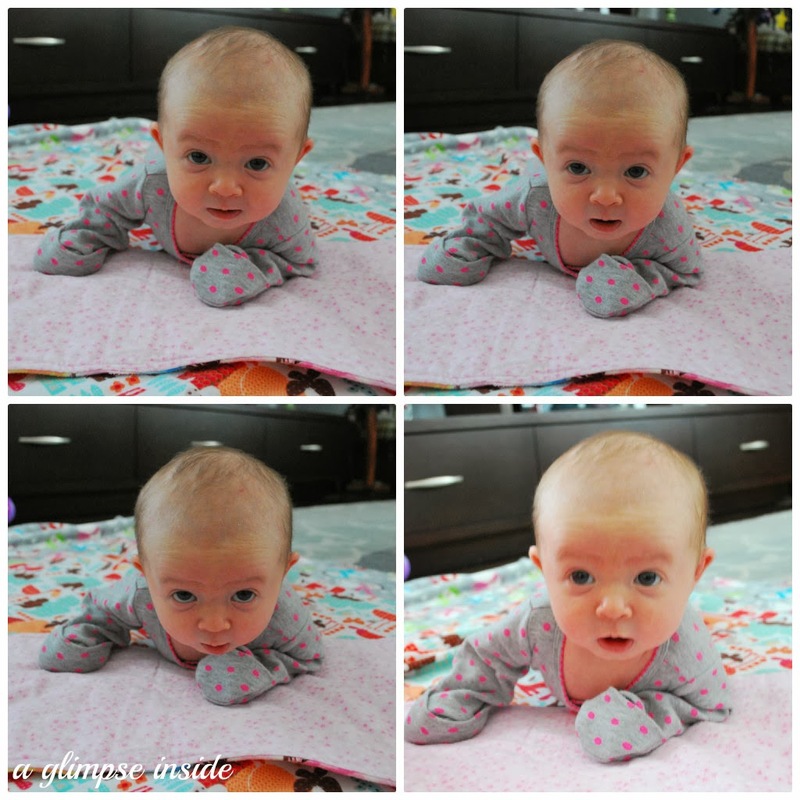 We got some more tummy time in and is getting pretty good at lifting that head up. 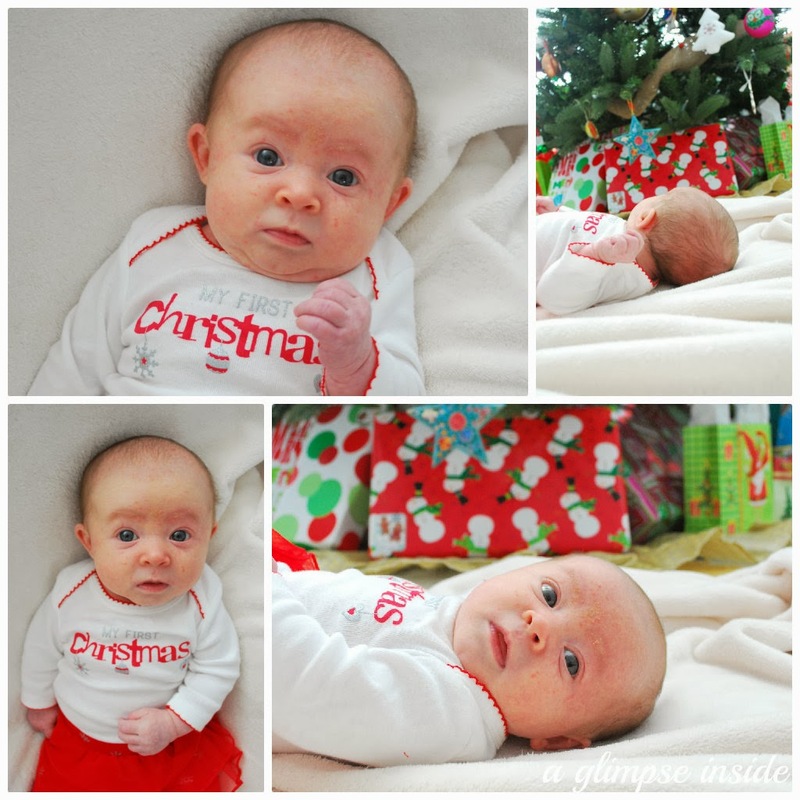 We had a little photo shoot in her "My First Christmas" outfit. We also had a little photo shoot in the tutu and floral crown that her Aunt Rissa sent her. 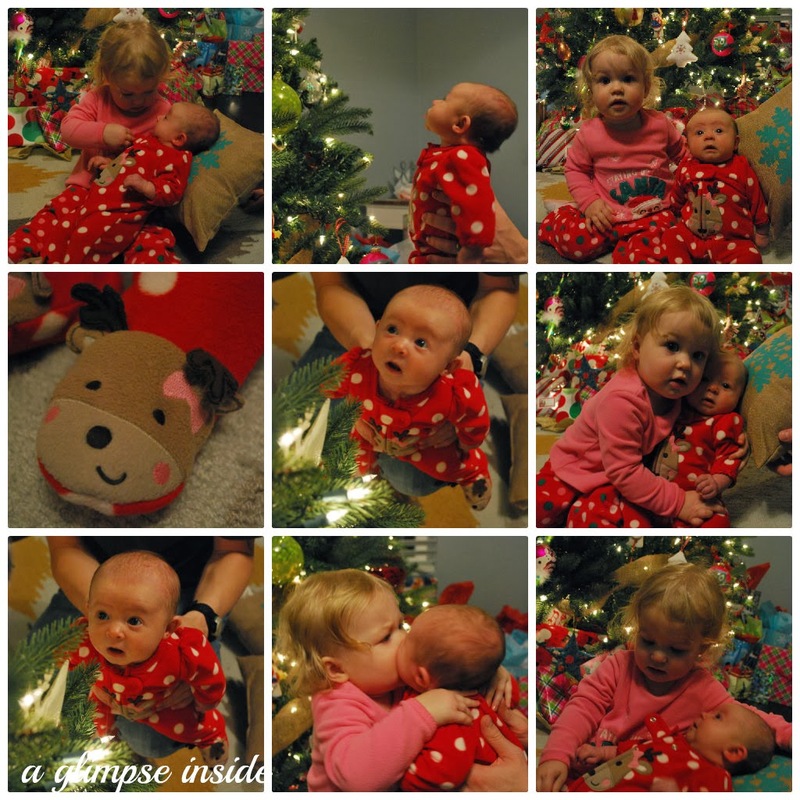 She got to experience her first Christmas this month. Here are some picture of her and Miss P on Christmas Eve in their Christmas jammies. On Christmas morning, she only lasted for the first two presents until she was out like a light the rest of the time. Guess she wasn't too impressed with Christmas or her gifts too much. 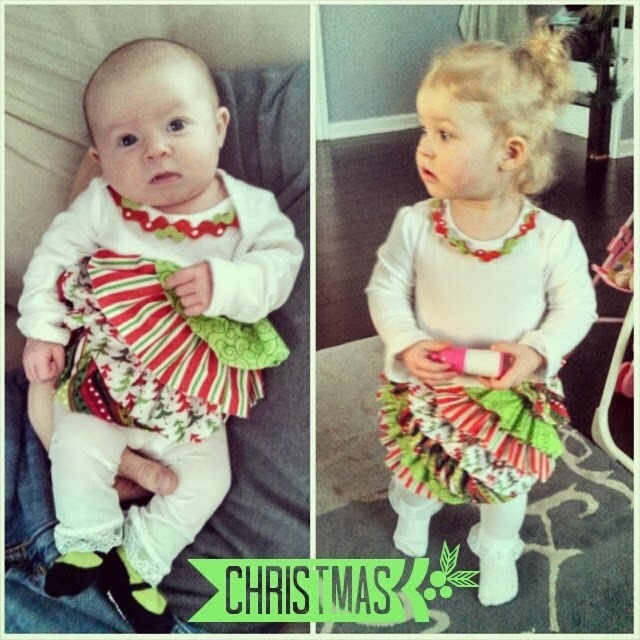 She got to wear a matching dress with Miss P that their Gammi made for them. 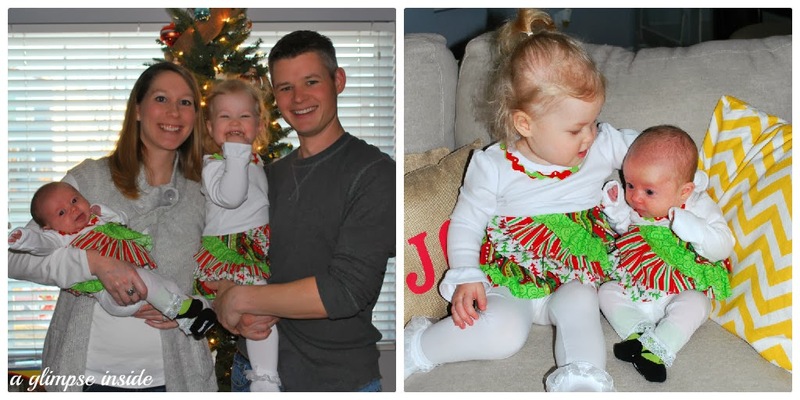 Here we all are on Christmas day and then our attempt at taking pictures of the girls together in their dresses. Not much luck with that one. Here are a few other shots from the month. -Hanging out with me smiling. -She got to meet Santa for the first time and daddy's work party. -She started to enjoy bath time a little more. -Tried out our activity mat for the first time and Miss P wanted to join the fun. -She is sitting up a little more. 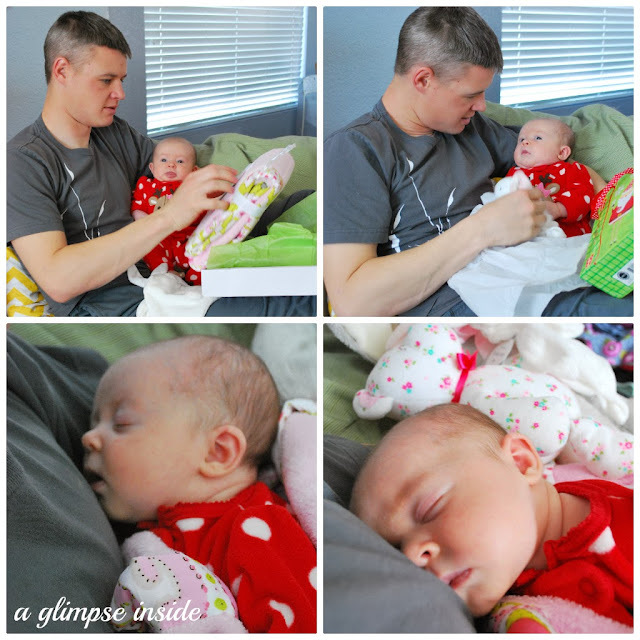 -She loves to sleep with her arms wide and it cracks us up. -Zonked out on Christmas Eve. -Zonked out, again, on Christmas Day. See, she wasn't impressed. -And all bundled up on her first walk to the playground down the street. 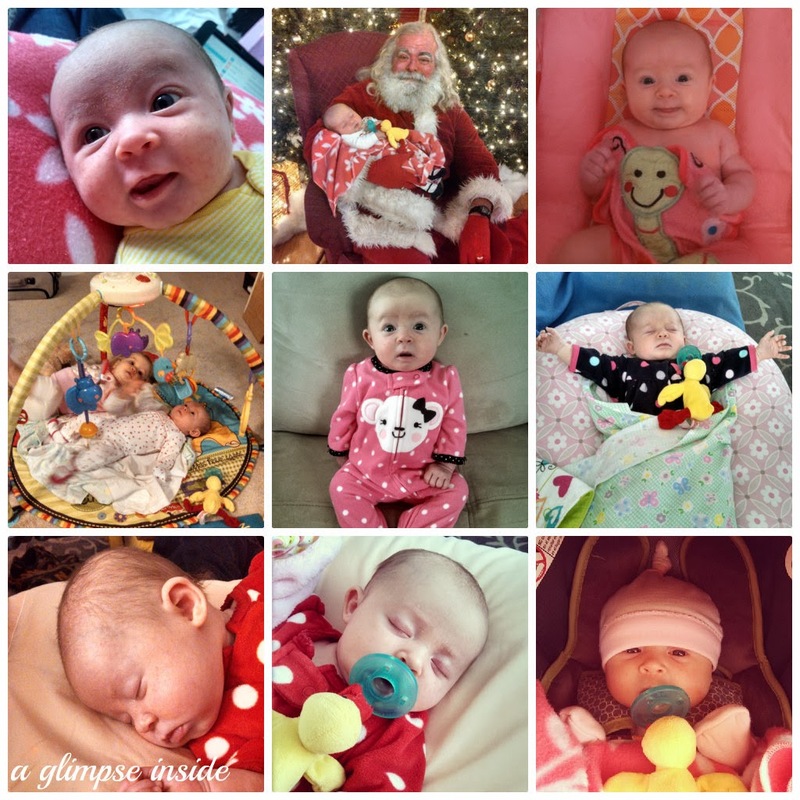 It was a fun month and now that she is getting a little more interactive, it will be fun to see what month 3 has in store. How fun! How much age difference is there between your girls? You have a beautiful family. Miss P and Miss S are so cute. You are very lucky! Absolutely precious! I have twin grandsons born on Oct 15. It is a marvel to me how fast they grow and develop. Thanks so much! They do change so fast! Congrats on your new grandsons!